Google Home wireless speaker works as your personal assistant. 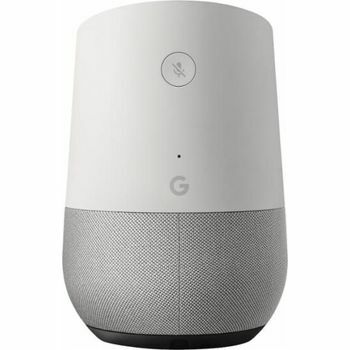 Just say OK Google and unleash the power of this wireless speaker.Google Home is powered by Google Assistant that allows you to manage tasks, play music, answer questions, and much more. With a simple voice command, play music from services like YouTube Music, Pandora, Spotify, and Google Play Music. You can also enjoy many more compatible audio services by streaming directly from your phone to Google Home. It has a touch control that allows you to control all compatible devices effortlessly. It has a Home app that is easy to use on both iOS and Android devices that integrate Home with the conversational Google Assistant. It offers easy synchronisation between multiple speakers so that you can play the same music on all of them. Want to know what you did the entire day? Ask Google Home as it will brief you about your day’s activities. This wireless speaker is available in a beautiful white finish, which will add beauty to your home’s interiors. The Google Home speaker has a far field voice recognition that allows itself to respond to your commands instantly. It can quickly catch variable languages spoken in different styles, which makes it flexible and efficient. This high excursion HiFi speaker delivers a high quality sound. Play music on any Google Cast enabled devices with the help of this wireless speaker. Also, it can connect easily with smart Home controls. You can call it an entertainment hub as it seamlessly connects with multiple speakers, allowing you to play synced music. Also, it allows you to stream YouTube videos on your Chromecast connected TV. The built in conversational Google Assistant lets you plan your day without reaching out to your smart devices or personal diary. You can check the weather, set the alarm, check traffic for your commute to work, add items to the shopping list, book an online cab service, and much more. The Google Home allows you to ask Google a million questions and it will hardly fail to answer. Ask about celebs, beauty, health, sports, and much more; Google will never get tired of your inquiries. Google Home wireless speaker works as your personal assistant. Just say OK Google and unleash the power of this wireless speaker.Google Home is powered by Google Assistant that allows you to manage tasks, play music, answer questions, and much more. With a simple voice command, play music from services like YouTube Music, Pandora, Spotify, and Google Play Music. You can also enjoy many more compatible audio services by streaming directly from your phone to Google Home. It has a touch control that allows you to control all compatible devices effortlessly. It has a Home app that is easy to use on both iOS and Android devices that integrate Home with the conversational Google Assistant. It offers easy synchronisation between multiple speakers so that you can play the same music on all of them. Want to know what you did the entire day? Ask Google Home as it will brief you about your day’s activities. This wireless speaker is available in a beautiful white finish, which will add beauty to your home’s interiors. HIGH FIDELITY SOUND The Google Home speaker has a far field voice recognition that allows itself to respond to your commands instantly. It can quickly catch variable languages spoken in different styles, which makes it flexible and efficient. This high excursion HiFi speaker delivers a high quality sound. EASILY CONNECTS WITH COMPATIBLE DEVICES Play music on any Google Cast enabled devices with the help of this wireless speaker. 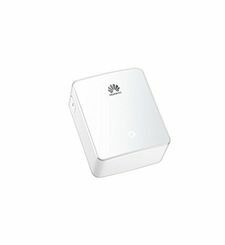 Also, it can connect easily with smart Home controls. You can call it an entertainment hub as it seamlessly connects with multiple speakers, allowing you to play synced music. Also, it allows you to stream YouTube videos on your Chromecast connected TV. MAKE IT YOUR PERSONAL ASSISTANT The built in conversational Google Assistant lets you plan your day without reaching out to your smart devices or personal diary. You can check the weather, set the alarm, check traffic for your commute to work, add items to the shopping list, book an online cab service, and much more. ASK GOOGLE ANYTHING The Google Home allows you to ask Google a million questions and it will hardly fail to answer. Ask about celebs, beauty, health, sports, and much more; Google will never get tired of your inquiries.